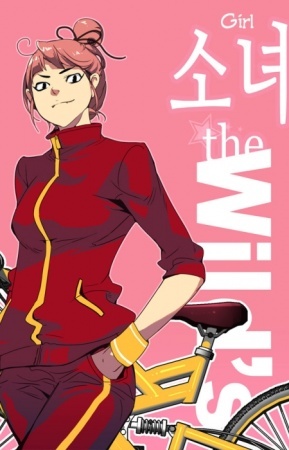 Girls of the Wild’s is a Manhwa fully colored and published online. It’s about Jae Gu Song, a poor guy who has to take care of his younger siblings after their mother left them due to personal problems regarding the recent death of their father. So in other words: he’s head poor and needs to go to school while working. After Middle School he decided to go to a formerly Girls-only-School nearby, because he was given a scholarship simply for being there and ended up as the only male student in the entire school. This school is special, though. It’s all about martial arts and the students are ridiculously strong – mind you, they’re all girls, except our main character, who feels terribly out of place, because he can’t do any fighting at all. He’s even been bullied during his Middle School days and meets his bullies again, getting nothing but a beating out of it. He befriends the president of the Taekwondo Club and S-class-student, Dal Dal Choi, a cute and small girl with deadly kicks. At first she wanted to befriend Jae Gu, because it was said to bring her points for her grades, but she developes a huge crush on him and follows him around everywhere. Another friend of his is Moon Young Lee, president of the Boxing Club and S-class student, as well as close friend of In Gyi Yoon (“Queen”). She has a crush on him at first, but later moves on to another guy. The third and last of his main group of friends is Queen Yoon, she’s not in a specific club, but an S-class-student as well.She’s close friends with Moon Young and the strongest fighter at Wild’s high and won last year’s “Wirld’s League” with no problem at all. She’s very cold and starts out on the wrong foot with Jae Gu, but later develops romantic feeling for him. In an act of revenge, Queen chose Jae Gu as her first opponent in this year’s Wild’s League, however since she doesn’t need to go through the prelims, Jae Gu would need to win those first. His initial idea was to simply forfeight the first fight and therefore get out this dilemma unharmed. He eventually decides to take the prelims seriously and learns basic fighting moves in Boxing and a few simple kicks from Dal Dal and Moon Young. This is the basic overview. Interestingly, though, MAL lists this manga as a harem, something I don’t quite agree on, because it’s more a love triangle than a real harem, especially since Moon Yong drops out, what leaves only Dal Dal and Queen. Sure, the rest of the school is still kind of interested, since they get points for being close to him, but the story doesn’t really care about that at all. I usually don’t like harems. I have a soft spot in my heart for Love Hina, because it’s the mother of all harem manga, but it’s not just random girls throwing themselves onto the main character. It does have a very clear main pairing and above everything else, is really fun to read. I don’t see this manhwa as a real “harem”, even though the set up smells a lot like it. It’s really not. So if you don’t like harem, don’t worry, there’s not much harem in here. 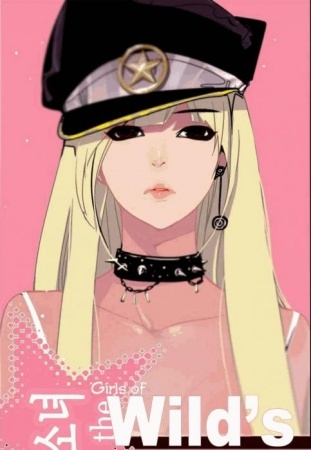 Would I recommend this Manhwa? Sure, why not. It’s fun seeing the girls being the strong ones for once and Qeens younger brother is really funny. It’s a good read.